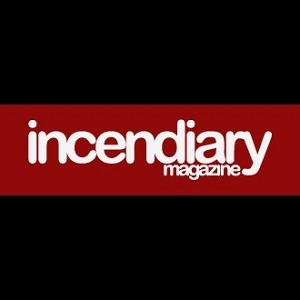 A farewell from Incendiary magazine: 2002-2015. Well, here we are, at the end. I want to start this with the reason Incendiary Magazine is calling it a day. I can’t speak for Damian (who is writing one more piece), Mac, Chris D, Chris G, or Zoe, though I would guess young families have a large part to play. Life moves on, and rightly so. My reason is simple, if somewhat gnomic. I started to write on Incendiary (then under the stewardship of the much missed Jon Dekel) in May or June 2003, when I was 33 and a third. I’m stopping in 2015, at the age of 45. This piece is split into a couple of sections. I thank everyone in the Acknowledgements bit. And I have a few things to say about this and that in the following sections. I can’t really speak for Jon here, but I suppose we started as yet another webzine looking to reflect that brief renaissance of rock music round 2002. Back then, frustrated and shy 80s/90s fanzine and student writers like myself suddenly got into the internet and found we could write (often at ridiculous length) about anything we wanted. We could pretend to be Everett True, or Swells in our own lunchtimes. Still, this “energy blast” (or whatever you want to call it) was over by early 2004, and I think we would have spluttered out round then. Luckily, four moons orbited Incendiary during its lifetime, and profoundly affected its gravity. The first was the great alternative British rock group, British Sea Power, whose oblique, mystic, and downright goggle-eyed way of looking at the world energised the magazine no end. That band gave us a strong shamanic elixir, brought us into contact with so many great people, and threw us into a parallel world where worrying about release dates seemed a waste of time. The second moon was the Leiden and Bollenstreek underground. Incendiary was introduced by The Julie Mittens (possibly the greatest free rock band in Europe) and Marcel van Schooten round 2004 into a great and real underground scene. They opened up the worlds of the Bar and Boos, the Linkse Kerk, (and later Vrijplaats), CAB03, QBus, LVC (when they put on the Tegendraads festivals) WOTNXT, Multiplex, Next to Jaap, and of course SUB071. If we are proud of anything at all, it is documenting Leiden, and SUB071. And becoming firm friends with the late great Corno Zwetsloot. Me and Marcel try to smuggle some SUB pixie dust (if not the lukewarm beer from Aldi) into our AA nights at Gebr. De Nobel. You should come down! Thirdly, the scene round Subroutine Records, and in particular, the Rotterdam “scally” band (ho, ho! sorry David) Rats on Rafts exerted a strong pull. Subroutine were fellow travellers for a while, kicking against what seemed an uncaring world (or one with cotton wool for ears at any rate) and I’m very glad that my last piece was written round their tenth anniversary do. And for a while we were lashed to the mast on The Good Ship Rats on Rafts, in the centre of all sorts of visions of grandeur and moments of misery and frustration. How pleased (and relieved!) I am that the world (yes, actually, the world) is finally listening. Finally, Incendiary would be nowhere without the benevolent moon of Haldern Pop festival in Germany, probably the greatest festival in Europe, and a reminder of what happens when existential, abstract concerns are cast aside for real community of spirit. And a fully stocked beer bar. What will I miss? Well, many of you reading this, and the magazine. I’m sure those who want to stay in touch will. I won’t miss the bewildering and increasingly demented demands on my time, often couched in the most passive-aggressive language, or inane mails from people who I have never met who bombard me – on over familiar terms – with Landfill Indie. (Yes I know they add my name through some algorithm in their mail outs but that doesn’t stop it being any less IRRITATING.) With this in mind, a few words about rock journalism now need to be written. In his brilliant book Jolly Lad, my pal John Doran wrote that music journalism is by its nature an odd profession, and attracts many odd and fragile people. I wouldn’t dispute that. I think you have to embrace the oddness of a situation where you expend a lot of time, energy and effort in getting to the bottom of a subject that is, by its nature, ephemeral and often seen as valueless. 1500 words squeezed out of your cranium, and then meticulously rewritten and edited, for a record made by a bunch of half-arsed twentysomething hobbyists that goes on to sell fifty copies and only read by your mates? Well, why not? However I will say this. The inherent oddness, the feeling of the utter futility of it all, need not be a bad thing. In fact it is essential. In another book (a very, very “wyrd” one, The White Goddess) Robert Graves made the distinction between court poets and gleemen. Gleemen were the village jesters working on the fringes and living by their wits, in contrast to the court poets, there to reflect the majesty of their employers. Good rock journalism has the gleeman element at its very core and rock journalists should recognise and embrace their role. The trickster, the shyster, the village entertainer. That’s what we do. Conjure up ephemeral, brightly burning squibs and firecrackers that blaze in the night air, only watch them splutter and die. Then we light the next one. Rock journalism’s shamanic structure is also (and always) there to stop us all from the pompous delusion of the court poet; the idea of being “important”, the big critic, the person whose utterances are treated as gospel. Rock journalism’s essence is having a bit of a wobbly at the moment. To use a sweeping journalistic generalisation one last time, I blame the internet. I think the medium’s soul is caught between the Scylla of the content sharing mania; and the Charybdis of ever-dwindling funds from traditional employers. * Everyone thought that the internet-driven DIY “thing” would be good, but as a writer one finds precious little room to move. Driven to distraction by the thought that no-one’s actually reading you, whilst bullied by the internet’s demand for constant updates, you can be skint and honest, be lucky and scrape by, or follow the money. It seems many writers follow the money, crafting portentous reviews in press releases sent to other journalists, or writing pseudo reviews in the beautifully produced booklets for the increasingly popular “Boutique” festivals. Here, there is no analysis, no magic, no real understanding of the music or what it does in its context. Rather, we get words, just words (with too many adjectives at that); shouting out to anyone in an increasingly deafening echo chamber; the sort of content that is one step away from an Excel sheet. Rock journalism always was full of prigs and bores and fragile characters trying to force their views on others (it’s amazing how many reviews – even in big sites – still sound like Cholmondley Warner’s written them). But I feel this consensus of loudly and uncritically repeating press releases, pretending a review is an MA essay, or being the first with “new content” will eventually drive everyone mad. And can anyone really tell me why streaming is more “important” to talk about than music? Surely a critical case of throwing the baby out with the bathwater. Oh well, I just hope those who really do count keep on going. I will, too; courtesy of a few great magazines, such as Louder Than War and The Quietus. And here I must thank John Robb, John Doran, Luke Turner and Sophie Coletta for welcoming me in. But I will be picking my battles carefully from now on. Incendiary will stay up and become a virtual museum; after all I didn’t write all those reviews in a cold Leiden squat for nothing. Maybe I did. In any case, I’m sure the vagaries of time and overheating servers in the Texan desert will decide on all of that. Great thanks goes to my co-editor Damian Leslie, a very fine and funny writer who is now a proud dad to Sammy (who, I am glad to say, likes Porcupine by Echo & The Bunnymen, surely their greatest work). Oh, and Damian’s writing a book about all of this. I’ve not seen any of it!! Boundless thanks and love, and the deepest respect to Mariska van den Hoven; who wisely viewed the whole thing from a distance, and still held the keys to it all. Thanks to our closest allies and original core team (all now proud parents). Mac, a very patient man and fine technical mainstay, likewise Chris Gibson, Chris Dawson, Zoe Gottehrer, the late and much missed Alex Armstrong, John Cottrill, Bill McMullen and Simon Reed, the original bedroom genius. Many thanks too to Incendiary’s founder Jon Dekel, whose impish personality now blazes through the mainstream Canadian media. Giz a job, Jon. I have had the pleasure of working with four writers and friends whose writing I consider truly great, both in style and in soul. These are: Cath Aubergine (whose work on Manchester’s live scene should be archived by the city), Chris Dawson, Joseph Wall and Gavin Bennett. Stephen Watt (through his heroically irrelevant reviews) came close to joining this group. Thanks too, to Jim Waterson, Julie Hutchinson and Tristan Burke, now very successful in their own very different ways, and catalysts of Incendiary’s youthful rebirth in 2005-7. Giz a job, Jim. Thanks to all of our contributors (which reads like a 3rd Battalion roll call): Dan Maier, Matt Hopkinson, Craig Pearce, Sam Campbell, Sophie Diver, Tom White, Hamish MacBain, (yes he did a piece once) Bram Nigten, Martin Percival, Katherine Travers, Ben Petersen, Nathan Rippin, Elia Rulli, Viola Mueller, Gary Williams Jasper Willems, Leonor Jonker, Tjeerd van Erve, Harry Pearce, Black Goat, Mark E, Adam Reed, Kate Dickinson, Simon Allum, Mark Headley, Janine Bullman, Jonathan Whittle, Richard Bellinger, Kate Ashton-Butler, Richard Sottong, Annemieke Koomen, Richard van den Hoven, Rachel Cranshaw, Rover (Stuart), Matt Gregory, Morgan Lane (your mum should write more!) Tiffany Davenport, Wouter van Heuvel, AJC, Cold Ethyl, Ondrea Kerr, Nick Spong, and James Staveley. Thanks to the Dutch alternative mainstream. (ho, ho!) The list of names here is RIDICULOUSLY long. So I will say, all of you, without exception. All of you. But special thanks (if only as a Mea Culpa for all the trials and tribulations along the way) must go to: Marcel van Schooten, Koen ter Heegde, Niek Hofstetter (and Tsjalling! ), Richard Sottong, David Fagan, Arnoud Verheul, Joris Frowein, Florian Veenhuis, Corno Zwetsloot, Ineke Duivenvoorde, Terrie Hessels, Arnold de Boer and Andy Moor, Wally van Middendorp, Leonor Jonker, Liu Mottes, Wymer Vaatstra, Maike Doornebosch, Mariska Louwman, Aldo Perotti, Viktor Hachmang and Eline, Paul Overdijk and Henk Koorn and Natasha van Waardenberg. Thanks to the city of Leiden, today and tomorrow is Leidse Onzet. WHAT a day to end on. Get them in.